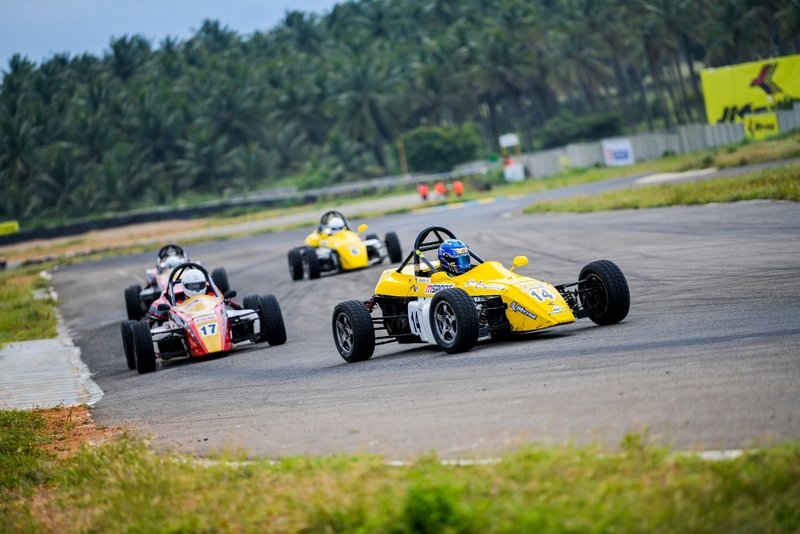 New Delhi, Nov 18: On a day of dramatic twists and turns, the Chennai duo of Karthik Tharani and Raghul Rangasamy clinched the coveted Euro JK 2018 and LGB Formula 4 titles in the 21st JK Tyre FMSCI National Racing Championship at the BIC here on an action-packed Sunday. Over 35,000 delighted fans roared as the Euro JK began shortly after a mind-boggling stunt show led by UK’s Terry Grant and Lithuania’s Aras Gibieza, with Tharani and Mumbai’s Nayan Chatterjee tied on 89 points and everything coming down to the last 10 laps. A fitting finale was on the cards, with the reverse grid too coming into play and adding to the drama. Nayan and Karthik commenced from behind, from sixth and fifth position, making their task that much tougher. Nayan, however, suffered a massive blow at the start of the second lap itself, colliding with Manav Sharma and pulling out of the race. 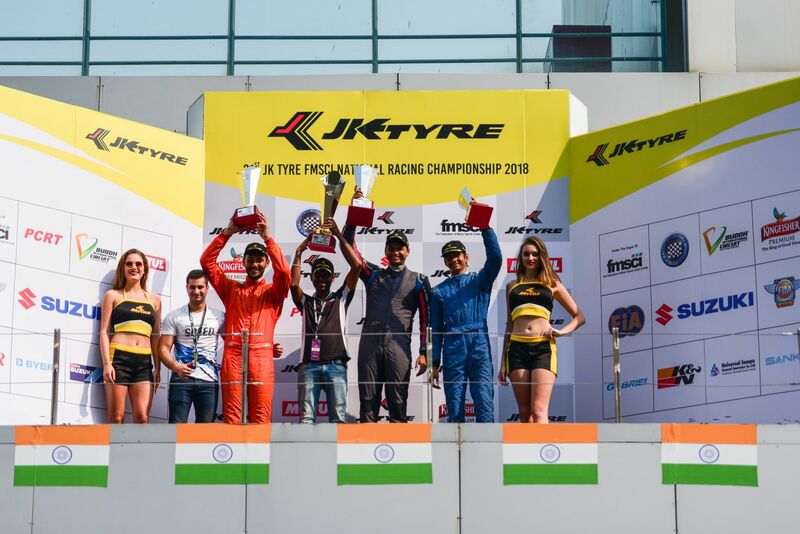 New Delhi, Nov. 17: Chennai’s Karthik Tharani and Mumbai’s Nayan Chatterjee won a race apiece on Day 1 of the Grand Finale of the 21st JK Tyre FMSCI National Racing Championship, throwing open the Euro JK 2018 here at the BIC on Saturday. The other stalwarts from Chennai, Vishnu Prasad in the LGB 4 and Joseph Mathew in the Suzuki Gixxer Cup, enjoyed a mixed day but still managed to hang on their leads. 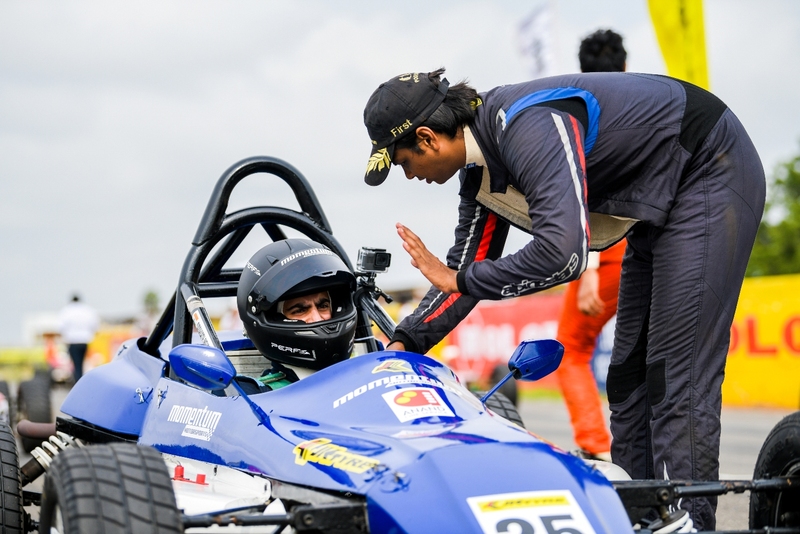 Vishnu won one race and finished fourth in the second to amass 76 points, to be six points clear of the field. Joseph, on the other hand, lost the first race of his season, but was still comfortably placed on 60 points. The International Asia Cup of Road Race that was run in tandem with the Suzuki Gixxer Cup saw India A’s Karthik Mateti making his mark, winning the race ahead of his Asian counterparts. Sri Lanka’s Hansika Abeysinghe claimed the second place while Australia’s Max Stauffer took the third. 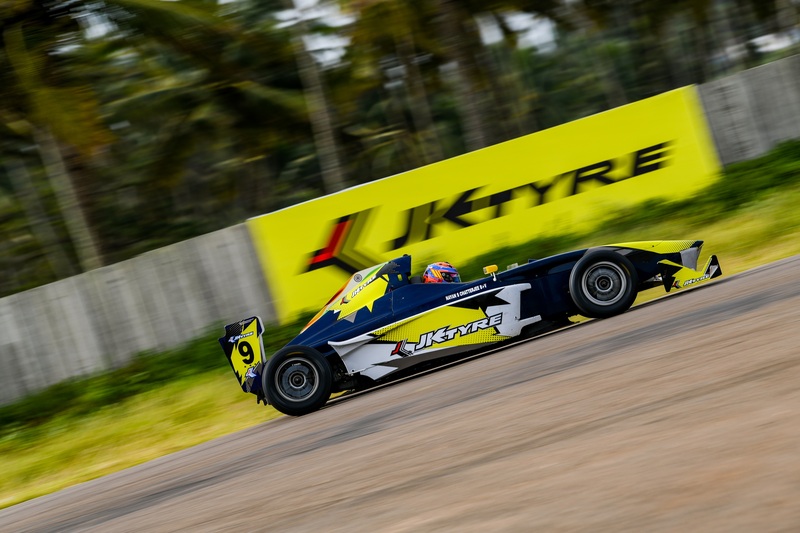 Karthik began the weekend on a positive note, grabbing the pole position in the Euro JK on Friday evening. He made the most of his early advantage to win Race 1 in 20:36.010 gruelling minutes. Nayan, who started from P3, put up an aggressive run, even recording the fastest lap time of 2:02:671 in the ninth. He attacked Karthik but just couldn’t find a way past him. 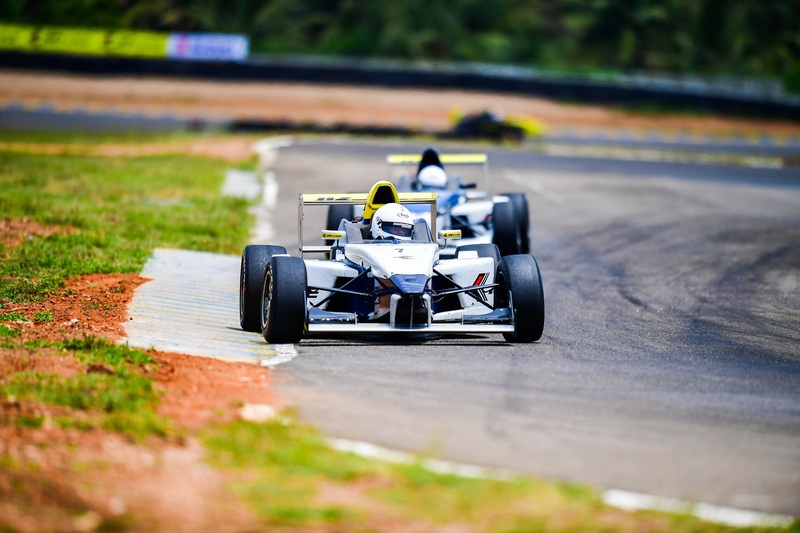 Ashwin Datta, who came into the finale as championship leader, began from P5 after a poor qualifying session. He couldn’t make up ground in the race either, finishing fifth and allowing Karthik and Nayan to catch up on him. 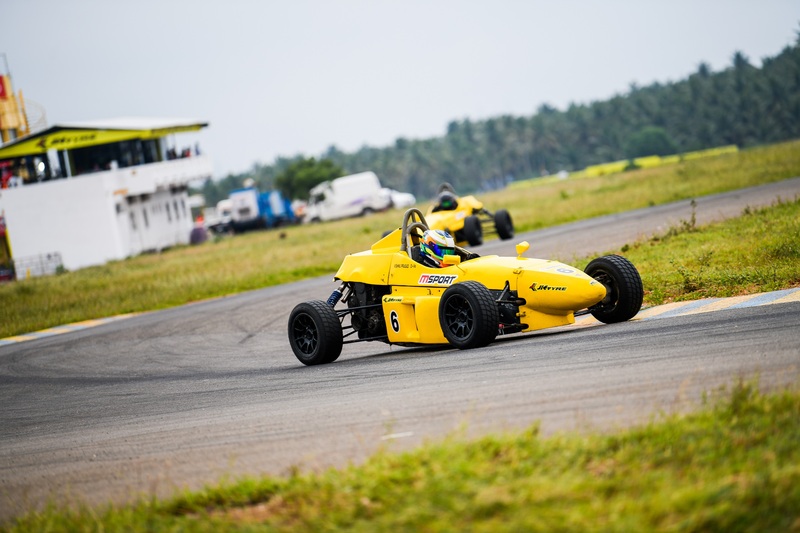 Coimbatore, September 2: Chennai’s Ashwin Datta emerged as the hero of Round 2 of the JK Tyre FMSCI National Racing Championship here on Sunday, setting the stage for a thrilling three-way tussle for supremacy in the Euro JK 2018 category. 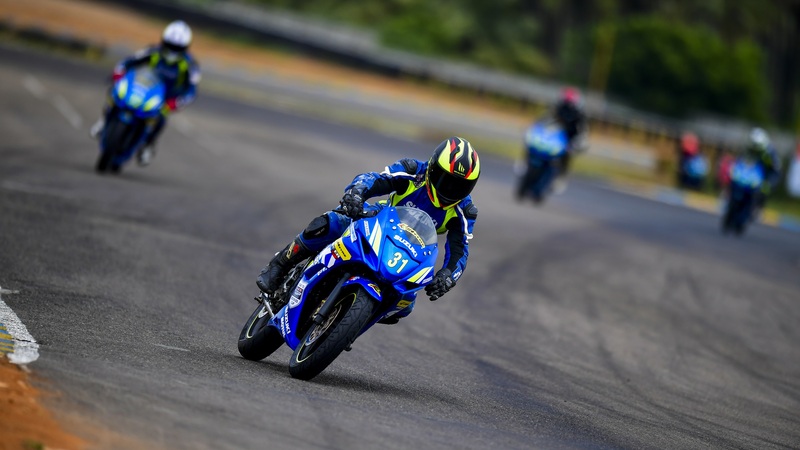 Chennai’s Vishnu Prasad and Joseph Mathew continued to hold sway in the LGB 4 and Suzuki Gixxer categories while 14-year-old Tijil Rao jumped into the spotlight by winning his life’s first race. Aizawl’s Jerome Vanlalrengpuia booked his trip to Spain for the Red Bull MotoGP Rookies Cup qualifiers next month. Jerome posted the fastest timing in the qualifiers over the two rounds of Red Bull Road to Rookies. He finished on 32 points along with PC Andy Lalhmangaihsanga, who clinched Race 2. 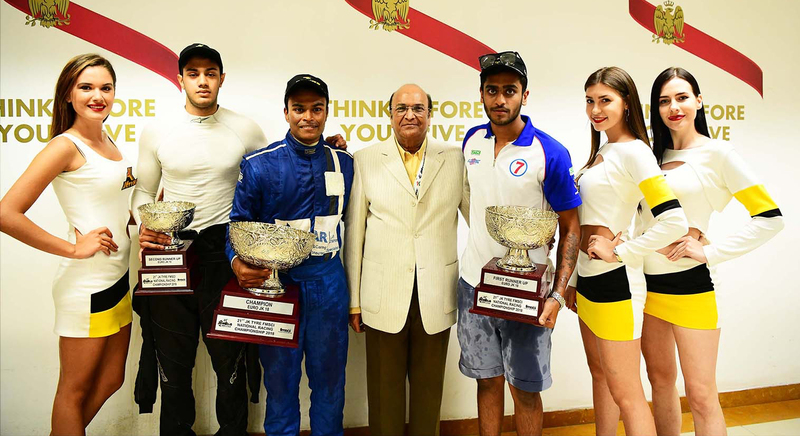 The Euro JK races had the packed stands on the edge of their seats as Ashwin Datta, Nayan Chatterjee and Karthik Tharani went all out for the top position on the championship leaderboard. Coimbatore, July 6: The JK Tyre-FMSCI National Racing Championship 2018 will create history in its 21st edition, unveiling an all-women’s team in its opening round set to start at the Kari Motor Speedway here on Saturday. The six ladies who have been selected after a nation-wide talent hunt will represent Ahura Racing, with a celebrity driver in the form of Maharashtra actress Manisha Kelkar, leading the charge against the big boys of racing. “We are proud to welcome an all-women’s team into the JKNRC,” Sanjay Sharma, JK Motorsports head, said. “We are confident that this will usher in a new trend, attracting many more ladies to motor sports,” he added. 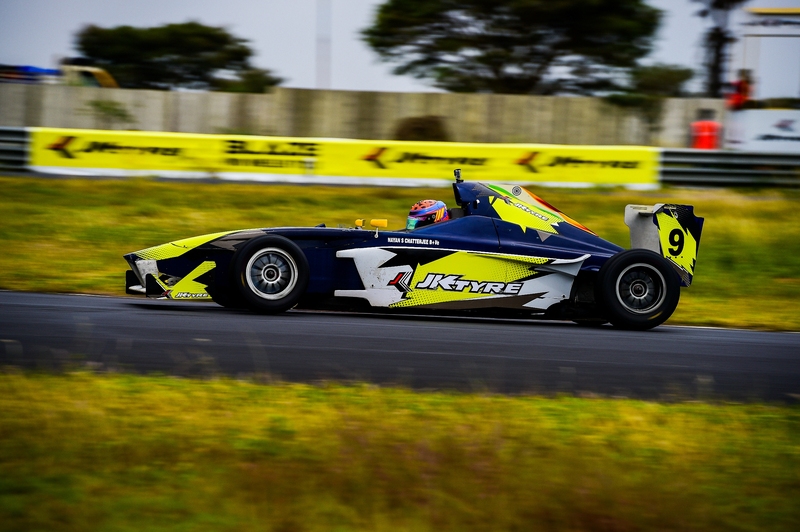 As many as 25 top drivers, including last year’s champion Chittesh Mandody (Avalanche Racing) and former winner Vishnu Prasad (MSport), will be fighting for top honours in this category. Sandeep Kumar (Dark Don Racing), who finished just two points behind Chittesh last year, will also hope to do one better this time. JKNRC’s blue riband event, the Euro JK 18 will pit the country’s top 11 racers against each other, in what promises to be a fast and furious affair. Last year’s third-place finisher Nayan Chatterjee will begin as the favourite, with defending champion Anindith Reddy graduating to the international circuit.